Giant leaves have irregularly shaped chartreuse spots with bluish-black stems, works well next to a pond or stream, best in part shade. 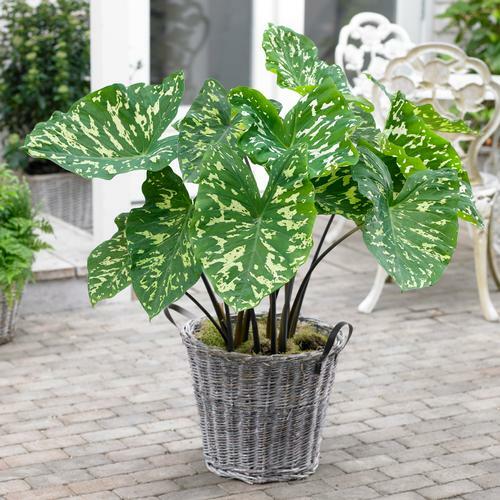 Produces huge leaves that can measure up to 2 feet accross in colors ranging from lime green to almost black. Plant bulbs so that the tip of the bulb is 1" below the soil surface. Grow at 65°F-75°F night temperatures.